I’m sure I was aware of David Bowie, in a vague sense, when I was a bit older. Both of my parents encouraged me to check out amazing musicians, and my mom would sometimes buy me “educational cd’s” to be sure I had a chance to hear the greats. But, the next time I remember *noticing* his music, it was “Space Oddity.” I have a blurry memory of seeing the song performed on tv back when I was living in Rhode Island. If the memory is correct, this was long before we had cable. That’s also an odd timeline with Labyrinth, except that I think I just didn’t realize they were the same person? In any case, my reaction to the song is something I do remember clearly. I remember being struck speechless, not having heard a song quite like that before, not knowing songs could do that. After that? I completely failed to go out of my way to listen to his music. I owned a “Best Of” collection at one point, but listened to it only a few times. I have a mix cd a friend made for me with “I’m Afraid Of Americans” on it, and I noticed he sang “Without You, I’m Nothing” with Placebo on one of their albums, but that was it other than the Labyrinth soundtrack. I did not obsessively dig through David Bowie’s backlog like I did with The Beatles. I didn’t read up on every bit of trivia I could find like I did with Metallica. I didn’t look up song lyrics (on a MUCH less convenient internet) like I did for Nirvana. I didn’t make mix tapes from the radio like I did with so may others. And yet, whenever one of his songs came on the radio, I would smile and never change the station. 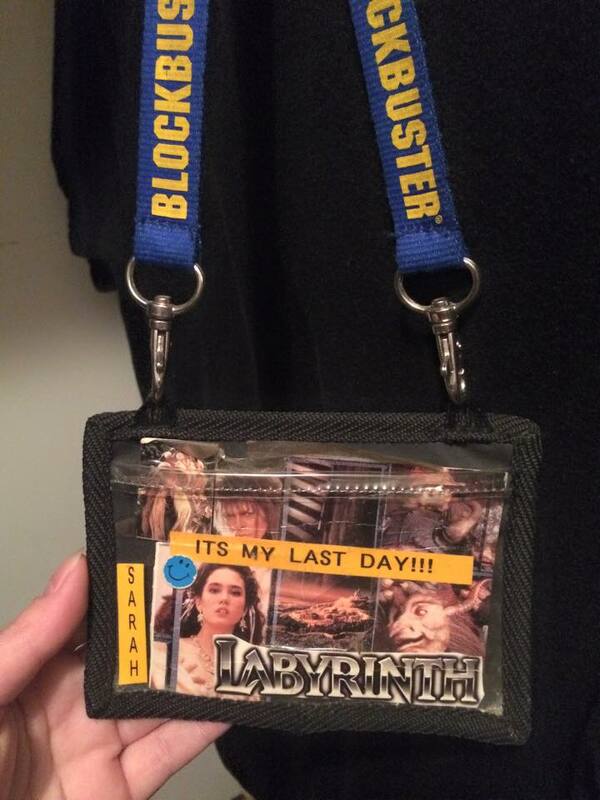 When I worked for Blockbuster Video, one of my employees made me a Labyrinth-themed nametag from a discarded VHS case, knowing I’d love it. (This was especially cool, as she could have used it herself, after all!) But…that had more to do with me being a fan of the movie than a huge fan of the artist. I started noticing that every time a celebrity died and I watched people react, I would think to myself, “that will be me when it’s David Bowie.” It’s odd I didn’t (and don’t) think I’ll react that way to folks whose work I’ve followed more closely, and odder still that I was right. I started ripping my Labyrinth soundtrack onto my computer, and belatedly picked up a few of his albums I’d meant to get to for years. I listened to the soundtrack, watched the Brows Held High episode, and then put on the Spotify playlist. Or maybe it was a cd and the playlist was the next day, I’m not sure. I teared up at a few points, moved by emotions that made no sense. (I am not a crier – tearing up is pretty huge for me.) I found the music video for “Lazarus” (not surprising, the links were being passed around) and that was a whole other pile of feelings, there. I teared up again listening to one of his albums on the way to, and then from work on Monday. I was all kinds of off during my shift, my brain surprising me with the news every so often. I was feeling a sense of loss I couldn’t explain or make sense of. Maybe it’s because even though I never dove into his music, I *did* always smile to hear it, or to see him on an interview. I’ve never had any trouble separating “fan of a person” from “knowing them at all personally,” but apparently his continued existence gave me some amount of inexplicable happiness I was barely aware of until it was gone. Then again…I’m hearing the same story from a lot of other people, it seems. I can’t help but think if you go out with people mourning you who aren’t even entirely sure why they are, you must have managed something with your life. I still think it’s the prerogative of the man’s actual family, friends, and loved ones to be able to truly mourn his loss – they are the ones who actually knew him. But perhaps I’m getting too old to worry about whether my emotions are “weird” or not, and can let myself just accept them as best I can. Back to gaming stuff for my next post, this one is on the list of, “I don’t know why, but it feels right so I’m going with it.” I’ve..erm…mostly gotten Earthbound working on the livestream. The universe doesn’t seem to want me to stream the beginning bit with sound, but when I get a chance I might start a new game just to record it for the playlist. I left off about to tackle Giant Step when Twitch started going wonky on me. 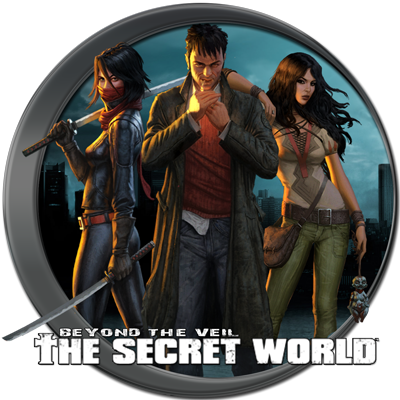 I still have all kinds of things to do in The Secret World, and I’m nearly overwhelmed thinking of all the classic games I’d love to stream, too. 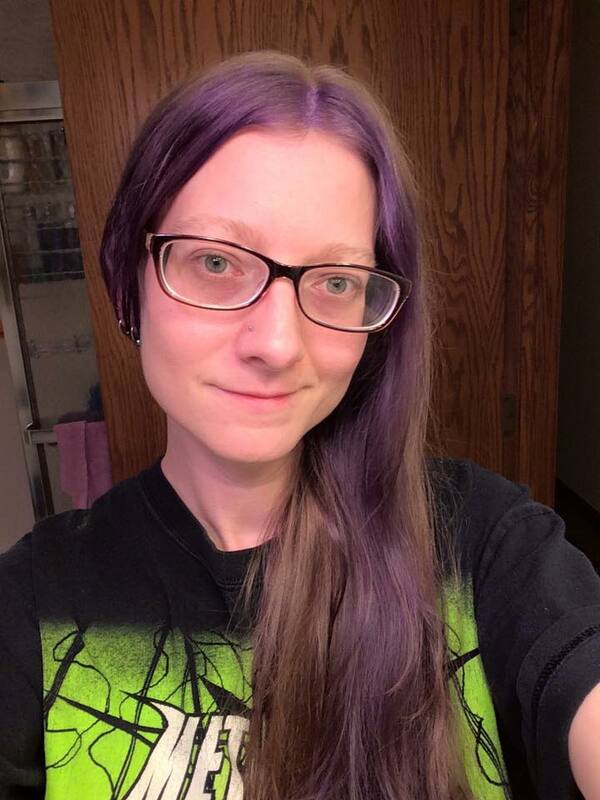 If anyone missed it, I also managed purple streaks in my hair that are staying this time, so I’ve more satisfactorily managed my side of the Extra Life bargain!